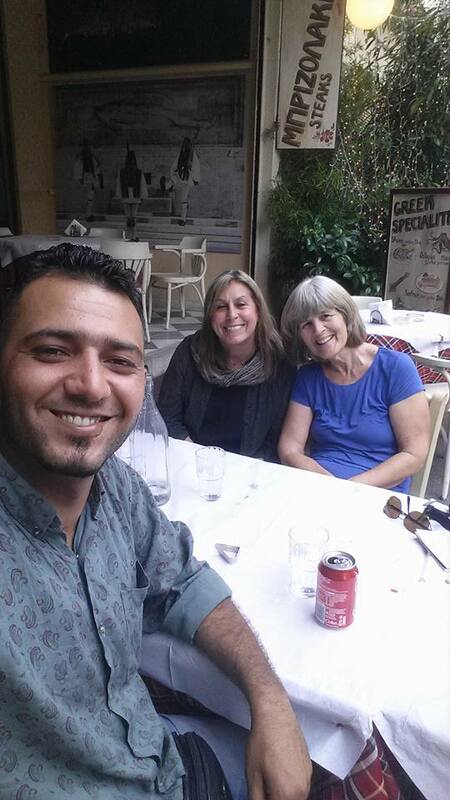 I met Sayed online through a Danish volunteer in Greece named Anette. Anette told me a refugee named Arian needed a small amount of cash to buy medication for one of his children. This type of solicitation is not unusual. The great success of refugee relief work in Greece results in part from the use of social media to connect people with information and resources. When I contacted Arian, he said he had gotten the medication from Doctors Without Borders. He thanked me for my offer. He could have accepted my offer without telling me he had the medicine. I asked him to stay in touch. Arian is Sayed. 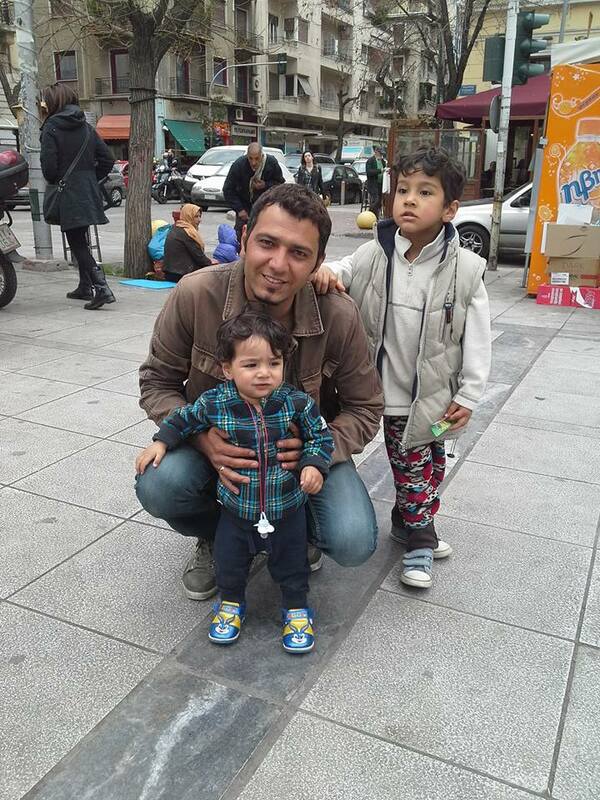 Sayed arrived in Greece in February after a treacherous journey from Afghanistan with his wife and three young sons. He turns 30 this year. He is handsome, athletic, outgoing. His style is a little edgy — fitted jeans and shirts, a distinct haircut, sunglasses. He is by nature as paternalistic as a 30 year old can be. He wants to be in the middle of things. He is articulate and speaks four languages — Farsi, Urdu, Pashto and English. He is learning Greek. In English at least, he speaks philosophically and sometimes poetically. If you only knew him by reading his facebook page, you might think Sayed leads a normal life — between articles on the continuing violence in Afghanistan, Sayed posts photos of trips to an Athens beach with his sons and selfies in a new hat. He doesn’t want to be defined by the loss of his country and family and career. He thinks of himself as someone who will make the most of challenges and opportunities. 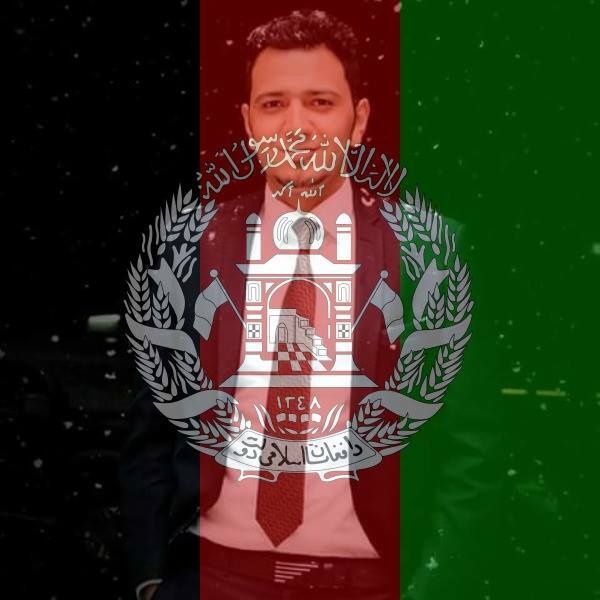 Sayed was born and raised in Kabul. He has three brothers and a sister. Two of his brothers have graduated from college and the third one is attending college. His sister is married with three children. His father worked in government and his mother is a doctor. Sayed is married to Naheed. Naheed is beautiful with soft features and an unassuming manner. The first time I met her, she was wearing a pink head scarf and no make-up. She does not speak English but she is quietly expressive. Before leaving Kabul, she worked in financial management for a private school. Sayed and Naheed have three sons — Mutahar (6), Ali (3)and Muhtasham (2). Mutahar is thoughtful and quiet. If you hand him a pad and paper, he will write his letters or a name. Ali is mentally and physically disabled because he didn’t get adequate treatment for jaundice the week he was born. But he is expressive and he seems to know things he cannot express. The youngest, Muhtasham, is his father’s son — active and engaging, a child who would rather risk falling on his head than let the world pass him by. The first time I met him, he saw me shaking hands with the adults — he made a point to catch my eye and extended his own. Sayed says when he was a child his father told him he talked too much, and advised him to go into marketing. And mostly that is what he did. Sayed worked as a cashier and in business development for two banks. He worked with a property developer in Dubai. But the work that changed his life were assignments with the British government during the American war. Sayed was an interpreter beginning in 2009. He would intercept encoded enemy communications and identify their locations on maps using GPS technology. He later worked as an actor in a television series funded by NATO. He adopted the name “Arian” for that work. During the time Sayed worked for the British military, he received explicit threats from the Taliban. At the time, the British government assured him he would be protected and granted asylum after the war. Later, Taliban members beat him up and threatened his life. When he later wished to seek asylum in England, he was told the British government would not help him. 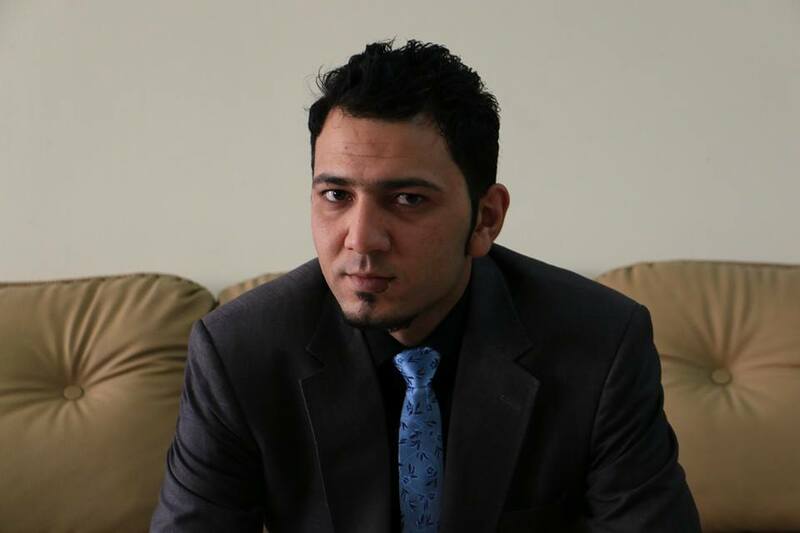 In December, Sayed and Naheed decided to leave Afghanistan for Europe. They found smugglers in Kabul who would connect them with transportation and shelter along the way. They paid about $2600 to get the family to Turkey. 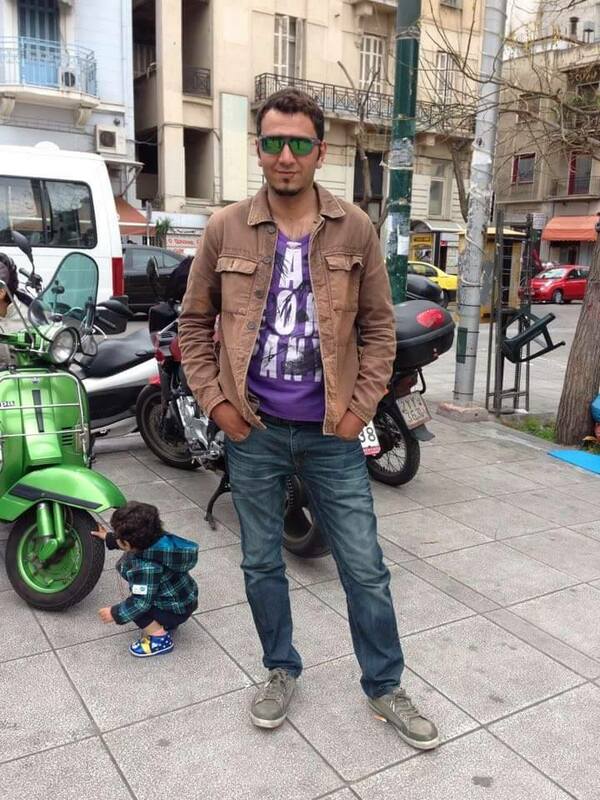 In Turkey, they would pay other smugglers to get them to Greece. Their dangerous journey began in a jeep with 15 other passengers crossing Afghanistan’s desert to the Pakistan border. The drive was 26 hours offroad without water or food. To understand a little bit about the intensity of this journey, here is a one minute video taken on that ride. The jeep broke down before it arrived at the border. Stranded in treacherous territory, Sayed had to find ways for his family to survive in the desert that night and then get to the smugglers’ hotel on the other side of the border. 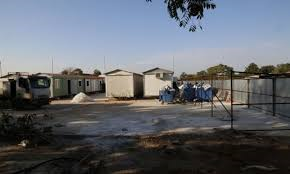 A local Taliban group arrived at the site of the broken jeep and offered, for a substantial sum, to provide tents and food, and to take the family to the border the next morning. Sayed made a point of telling me he worried they would recognize him from his appearances on Afghan television. At the Pakistan border the next day, the family was confronted by the Pakistani military. Sayed had heard stories of refugees being tortured by the Pakistani military. He paid them $200 to be left alone. The family spent that night in a hotel room provided by the smugglers. They shared the room with a small herd of sheep. The next part of the journey was a 4 hour motor bike ride through the mountains to Iran’s border, where the family boarded a public bus to Tehran with 60 other refugees. At the bus station in Tehran, they had to evade Iranian police looking for Afghan refugees. From Tehran, the family traveled for 24 hours in a small car to the town of Maku near the Turkish border. Along the way, they had to get out of the car and walk 3 hours around a hill to avoid a police check point. Sometimes they had to wait for hours while the smugglers made sure the roads were clear of police. Mutahar after a long night in the rain under the tent made of a garbage bag. 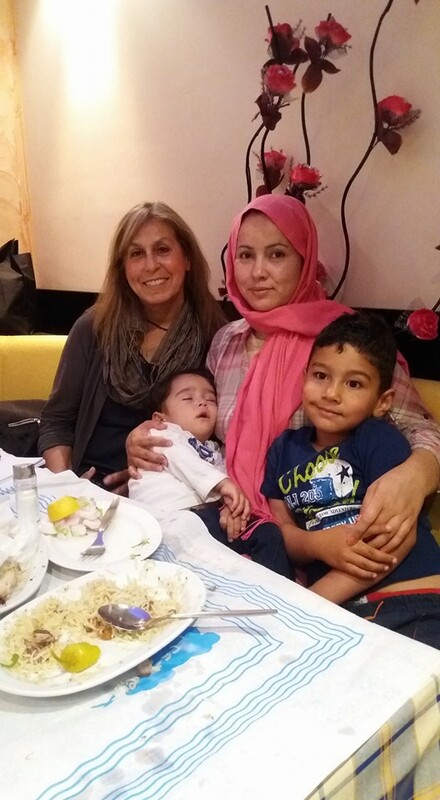 When the family reached Turkey, they stayed in a small hotel in Izmir while they waited to hear from the smugglers about when they would make the 3 mile boat trip to the Greek island of Chios. The boats left from the small coastal community of Cesme an hour’s drive to the west. On their first attempt to get on a boat, the family spent the night in the forest along the beach. Mutahar’s shoe fell apart. Naheed found a small pink one in the underbrush. It rained all night. Sayed was able to create a small shelter for Naheed and the children with a black plastic garbage bag. Sayed stood in the rain all night. Later that day, the smugglers sent Sayed a message saying their boat would leave that night from a Cesme hotel. 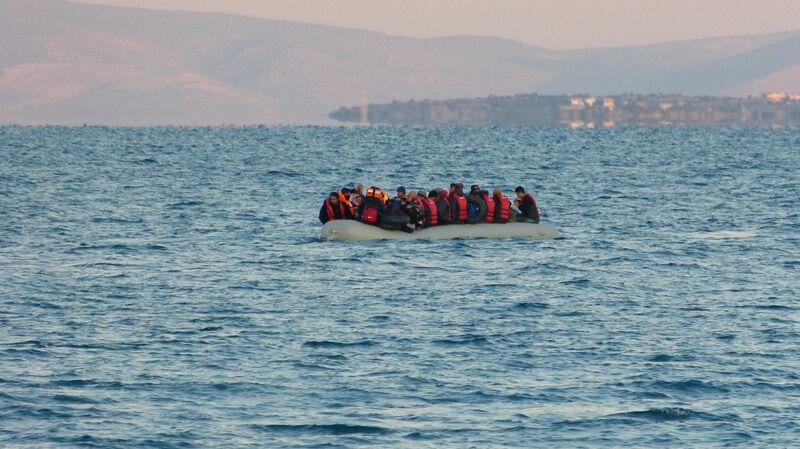 That evening, the family boarded a rubber dingy with 80 others. The weather was stormy. Large waves were overtaking the boat. The people on the boat were screaming and crying. As the boat seemed ready to capsize, Sayed spotted what appeared to be a Greek Coast Guard boat in the distance. He flashed them with the light on his cell phone. The Coast Guard arrived and loaded them on to rescue vessels. Their rescuers were the Turkish Coast Guard and they were taken back to Cesme where the police sent them back to Izmir. 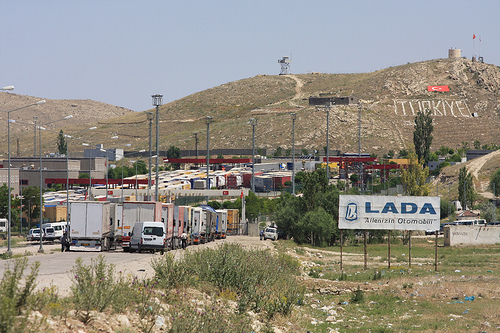 The next day, the smugglers took the families back to Cesme for a fourth attempt. Sayed had a choice. His family could board a wooden boat for $5,000 or a rubber dinghy for $2,000. Sayed had already spent $6,000 for three unsuccessful trips between Cesme to Greece and he didn’t have the cash for passage on the safer wooden boat. He didn’t have cash for life jackets either. Sayed had purchased life jackets on each of the three previous attempts. Each time, the life jackets were confiscated and burned by Turkish police. The family would have to make this trip without them. He also had to leave without his day pack, which contained his phone and food for the children. The smugglers threw his pack in the water because the extra space would permit another passenger to board the boat. The dingy carried 70 passengers, probably three times what it was designed to carry. Its passengers cried and screamed as it moved out into white caps on open water. Sayed believed they would all drown. Naheed buried her head in her arms. Someone’s baby fell to the bottom of the boat. Sayed saw the lights on the island of Chios and then he saw the lights of a Coast Guard boat. This time the Coast Guard boat was Greek. That meant they had made it into Greek waters and could not be sent back. Wet and in shock, the passengers on the rubber boat boarded the Coast Guard boat, which took them the rest of the way to Chios. Mutahar arrived in Europe in a pink shoe and a blue shoe. The baby who fell to the bottom of the rubber boat did not survive. Sayed cannot talk about this. 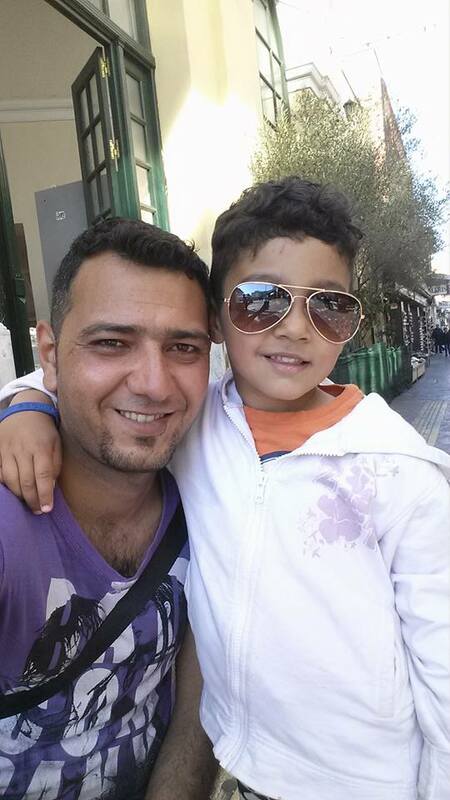 Sayed and his family stayed the night on Chios and registered with the local police, required before a refugee or migrant can leave the island. 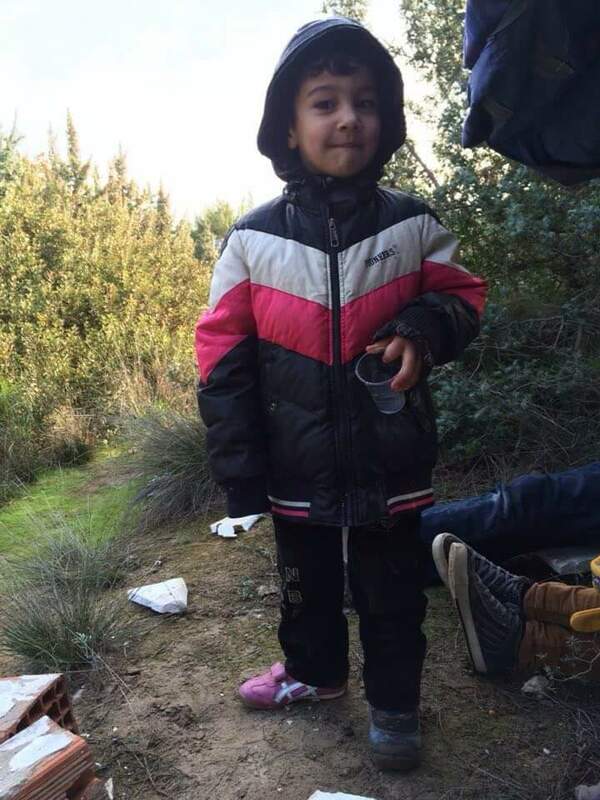 Sayed heard the borders had closed, which would make it impossible for the family to join Sayed’s uncle in Sweden. A police officer told Sayed that the closing of the borders north meant “Greece is going to become a prison for refugees.” Sayed says this was the hardest moment of their treacherous journey and he cried. Then the family was taken to the harbor for the overnight ferry ride to Athens. Sayed and Naheed did not have $100 for ferry tickets. Sayed noticed that many people in line at the ferry dock were struggling to fill out a form required by the Greek authorities. The form was in Greek and English, languages few of the refugees could read. So Sayed started at the beginning of the line and asked each struggling person whether he could help fill out the forms — for a euro or two euros or part of a euro, whatever they could afford. A few hours later Sayed had earned more than $200. He also filled out forms for 50 people who could not pay him. 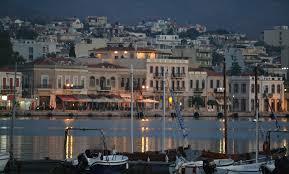 The next day, the family arrived in Athens at the Port of Piraeus. Normally, refugees arriving in the port are directed to buses without being told where they will be taken. Sayed refused to put the family on a bus. Instead, he learned which was the best refugee camp in Athens by paying a cab driver an extra 5 euros to take the family there. The family is still at Eleonas refugee camp not far from the center of town. It is crude and austere but safe. The Greek military feeds them plain noodles. When Sayed has a little money, he buys cans of tuna to mix in with the noodles. He helps at the camp as a translator and seeks out NGO resources for the people staying there. Sayed has received his white card granting him temporary asylum in Greece. He does not know when the Greek government will make a final decision regarding is asylum claim. After volunteering for several NGOs in Athens, one of the largest offered Sayed a job as a translator at one of the camps. Sayed and Naheed are living in a comfortable apartment. Sayed continues to spend his non-work hours helping others and building his own community in Athens. For now at least there is hope for Sayed and Naheed and their children. I am left discouraged, and also hopeful. Hopeful, because there are people like Sayed and like you, Kim, in the world. I will post on my Facebook page. That is an incredible story, Kim. And what beautiful faces, and what courage and resiliency. Incredible. Fresh. Thank you so much for this story. The crisp, matter-of-fact style, the video and photos – it really brought the story home to me. This story is ready for a larger audience. Go, girl! What an extraordinary exodus for this young man and his family. And yet, the tragic aspects of this journey aren’t all that “extraordinary” as the list of bodies and broken families continues to swell to historic proportions. The notion that there is such a thing as an “international community of nations” who care continues to be vapor. It is only people such as you who can hold their heads high during this calamity. Yes Vic. You got it.